Darden, an Atlanta, Georgia native, was captured while working on humanitarian aid projects in the country. “We are aware of reports that several U.S. citizens are detained in Yemen. Due to privacy considerations, we do not have any further personal details or information to share. The protection of U.S. citizens overseas is one of the Department of State’s highest priorities. We strive to assist U.S. citizens detained abroad whenever possible,” the U.S. State Department said of the hostage crisis. We have been working tirelessly since March with governments and other organizations globally to secure the release of Scott Darden, who was in Yemen coordinating the warehousing and delivery of humanitarian aid as part of his job in international logistics. We continue to call on the Houthis to immediately release Scott so that he can be reunited with his family. In mid February, the United States abandoned its embassy in Yemen. Shortly thereafter, the embassy was ransacked by the Houthis, who took possession of several vehicles and weapons, according to reports. 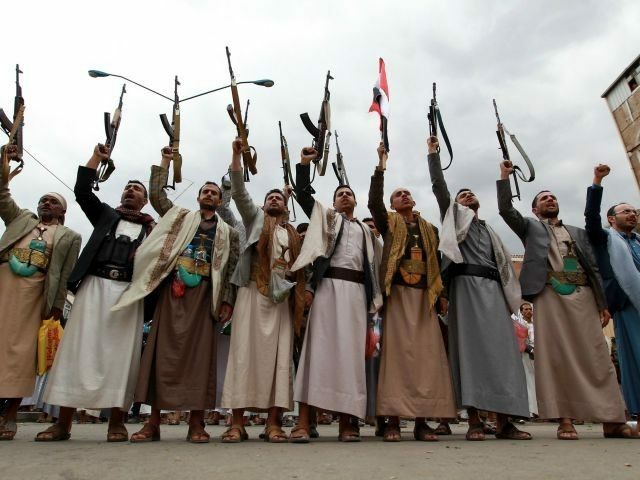 Iran provides overt political support for the Houthis, and although the Islamic Republic denies providing military assistance to the group, reports have surfaced suggesting otherwise.